They'll have to work hard to rebalance their high rake stance and new size fuel tank may increase wheelbase. They're not the only ones affected either. Looks like 19 might be an interesting season. It was interesting to me that Red Bull has said to Honda to give them a powerful and reliable engine and that size would not be a big issue because “We will build the car around the engine”. In that case could we see why mclaren honda struggled for so many years, were mclaren just trying to compact the “coke bottle area” of their car too much? Some keen fans would like to believe something in that vein, but personally, I feel that Honda were trying to put a Doc Martin on a Ballet Dancer ... and maybe now, they understand (or are moving a step closer to) the "Fashion/Tuning Fork" which a modern F1 car demands??? 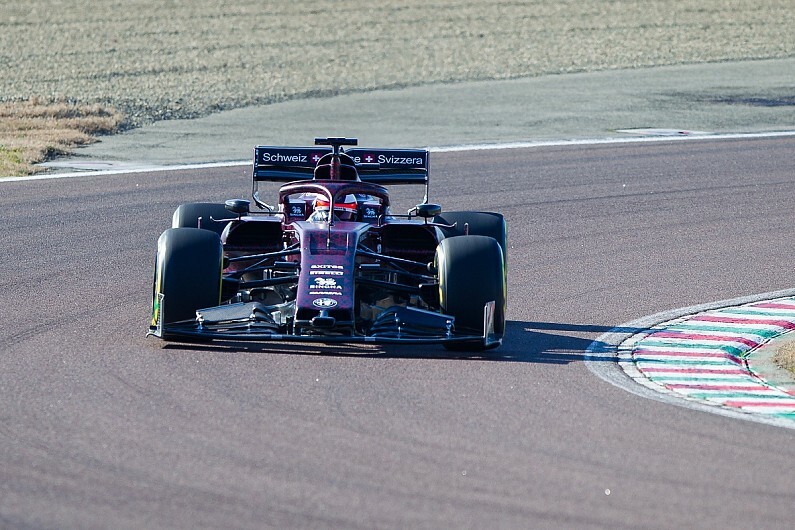 Without wanting to start another new thread about the 2019 front wings, it is worth having a look at the Alfa Romeo front wing. They have pretty much removed all sections close to the wing endplates in order to create some kind of air flow to the back of the car. So great, you remove all the numerous winglets and flaps, then create this instead. Here's the car from the front. That’s the 2019 refs though, isn’t it? The outside of the front wings has been simplified to allow cleaner airflow to reduce turbulence behind and to have less effect from turbulence coming from ahead. Will be interesting to see what they all end up with in Oz. Yeah Alfa does seem to share some features of Ferrari front wings, they are much higher towards the middle section. But there are big gaps towards the endplates. Maybe they got invited to Sunday Lunch at Maranello instead of round Paddy's. Looking at the renders released today of the actual FW42, I am sure even Paddy wasn't round at Paddy's for lunch that day! Seeing as they are going to give their track shakedown session a miss My guess he has had more than a few Sundays (and other days) doing other things. Does look a tad conservative though don't it. 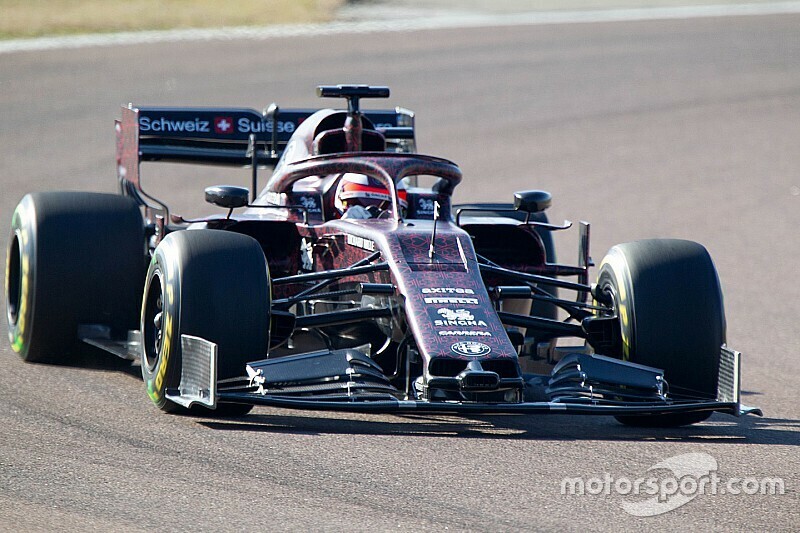 Yes, the Alfa front wing is a little bizarre and departure from the "rough" template which other teams are executing. Rather than a section missing from the inside region of the endplates, it actually appears like a flat block over the upper wing "fin" (for a better word). Otherwise, the curve downward towards the front of the nose - much like the other teams. Cal, I was trying to make a point about the Alfa front wings falling the further outwards from fuselage they go. Most others - Ferrari excluded - rise outwards (or at least remain level) towards the end plates. Are Alfa and Ferrari sandbagging or do they think they've found something? It is always interesting when someone finds something new that blows the competition out of the water. It's also interesting when someone tries to innovate and falls flat on their face. I always liked the Williams tusk design, though they couldn't get it to work, it was nice to see someone try something different. I "think" we are essentially talking about the same area John. It just that sometimes when I type, my thoughts go onto parallels, so although I noticed other areas on that front wing (may have been part of their launch setup??) ... my initial focus was the angle of the wing towards the endplates.